Sweet pedestal bowls from The Speckled Dog. 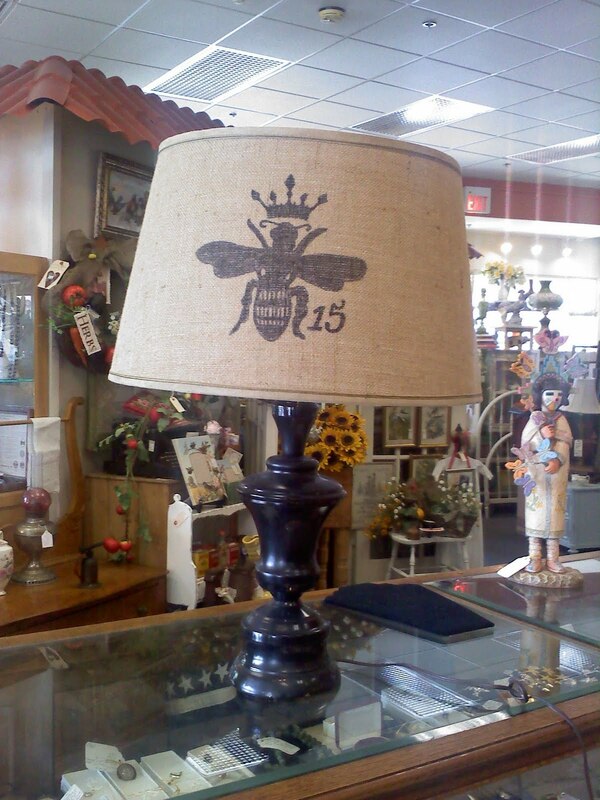 Junk Restore's bumblebee lampshade is beeutiful. Have single socks? How about making adorable sock speciman art like A Home For a Bunny did. 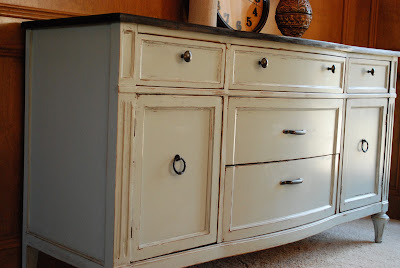 Dreamy buffet redo from Between Blue and Yellow! Spring Fever? Check out Social Salutations spring mantel. House Revivals Jimmy Choo inspired upcycled purse is fabulous. Check in over the weekend, working past my caretaker, children, holiday busyness to get some projects done. I can't wait to see what you have in store for us this week! Thanks for the feature, and thank you for hosting. I love seeing what everyone else is doing. I love your picks today.Thanks for hosting! Love what I'm seeing here! Thanks so much for hosting Becky. It's been a while but I finally had something I could link up! Yeah! Hope you having a great week! Hope you come by to say hi. Thanks for hosting. 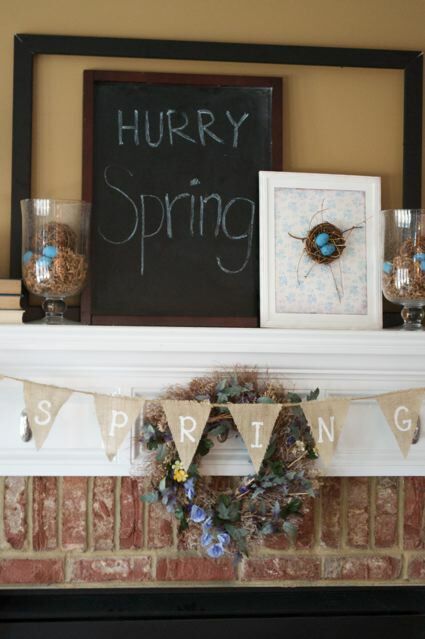 Love that "hurry spring" sign, I feel like that! Thank you for hosting and highlighting my baby sock specimen! I feel so honored!!!! Hi Becky! I just posted #121 a kitchen I built for my kids for Christmas. I built all four pieces for right around $100. Pottery Barns version is over $400! Thanks for hosting, I know there is a cost now - I really love and appreciate the parties! Thank you so much for featuring my mantel!! It means so much to me - AND I think my chalkboard wish worked - it's 70 degrees here today! Can not believe I've missed this linky party ~ what a great idea. Will be back to play.